The industrial revolution of the 1800s brought with it mass production in large volumes that were previously unheard of. As a result, traditional craftsmanship eventually became an economically unviable industry for most. But a few saw the opportunity in producing very high-quality handcrafted products with pricing that only select few could ever dream of owning. Thus the advent of luxury brands such as Hermès, Louis Vuitton, Lanvin, Chanel, Prada and others. But how is this story relevant 200 years later? We are once again at a pivotal moment where Industrial manufacturing as we know it, is changing for the better. 3D Printing as a term is actually a misnomer. The science can be better understood with the term – Additive Manufacturing. Unlike most production techniques which are generally subtractive, Additive manufacturing or 3D printing adds layers to create objects. A 3D printer works a lot similar to how a regular printer works. 3D Printer continually applies very fine multiple layers of additive chemicals on top of each other at specific locations controlled by the computer which is based on a CAD program. This layer by layer addition of liquid molecules or powder grains being fused together slowly builds up and starts forming a three-dimensional shape. Unlike traditional manufacturing techniques, since no special tools are required such as cutting tools or molds, the layer by layer addition process of 3D technology allows for complex structures to be created easily. For example, Desktop 3D printers can melt plastic filaments and build objects by adding layers on top of layers. On the other hand, Industrial-sized 3D printing machines use a laser to melt thin metal layers or plastic powders to create objects. Due to the lack of complexities present in traditional manufacturing, the applications and possibilities are limitless. Rather than the technology remaining as a large scale manufacturer’s tool, 3D printing will eventually democratize manufacturing. Already, there are fashion houses using 3D printing technologies to create intricate biomimicry fashion designs that reflect a bio-infused approach. Initially, the technology was limited to plastics, however, it has since outgrown that limitation and now a variety of polymers or metals can be used that were previously not possible. The latest being Gold Jewellery designs. Complex designs that used to take days for a traditional craftsman to create for a piece of jewellery, with a simple CAD program, a 3D printer can create similar or even better designs in a matter of hours with actual 18 carat Gold. Balenciaga’s Autumn/Winter 2018 collection consisted of 3D printed high fashion pieces. The brand took 3D scans of the models’’ size and fittings, programmed it in CAD and then the designs were 3D printed as per the fitting requirements, moulded and cast with lightweight foam. Post that, the designers, bonded the foam with Tweeds and velvets to create the finished products. The brand’s garments had minimal stitching and fit the models as per their body shapes. 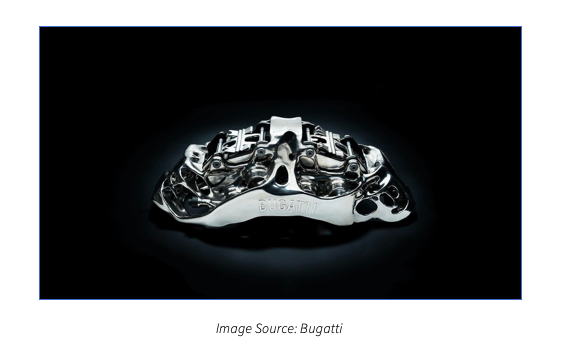 Bugatti is using 3D Printing to create custom titanium brake callipers for their cars which enhances the stopping power of their cars. Porsche has already announced plans to use 3D printing technique to produce metal and plastic spare parts on demand which would be a great cost saver for the company besides the numerous advantages in the ability to create innovatively designed parts for better performance. At the same time, advancements in nanotechnology are allowing for newer nanomaterials to be created that offer superior qualities than traditional materials. Nanotextiles have already made inroads in the sports and performance industry due to their superior qualities that outlast, aid aerodynamics and even withstand extreme pressure. For 2018, Prada had re-launched their classic line Prada Linea Rossa with the range being distinguished by the new age materials. These include nanotech fabrics with high conductive capacity that favours fast body temperature regulation, water repellentrepellant microfibre and ultralight Nylon 3L with high abrasion resistance, the thinnest membrane in the world. 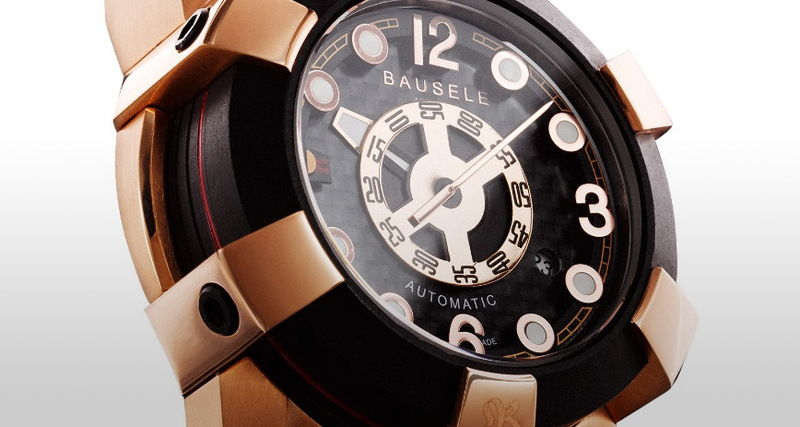 Bausele, a luxury watchmaker commissioned the creation of Bauselite for their new Terra Australis collection. As an innovative new lightweight ceramic watch casing material jointly developed by Flinders University Centre for NanoScale Science and Technology and Bausele, Bauselite is a defect-free and super strong casing material. The new material also allows high-precision drilling in watches which allows designers to create bolder, more adventurous designs. Lamborghini has introduced the new ‘Terzo Millennio’ which is being touted as the world’s first self-healing sports car. The car conducts real-time health check via sensors to detect any damages and self repairs itself by filling cracks with nanotubes to prevent the spreading of the cracks. Lamborghini is also exploring carbon composite batteries that utilize nanotechnology to reduce weight and increase the discharge capacity of the batteries, thereby increasing range, speed, acceleration and launch capabilities. Future Forward: A glimmer of hope or total disaster? One of the biggest pain areas for the luxury industry is counterfeits. Counterfeiting which is already a USD$1.85 trillion industry causes huge business losses to luxury brands across the world. With 3D printing allowing for exact replicas being created, identifying counterfeit products would become extremely challenging for the luxury brands since 3D printed products would be near identical to the original. 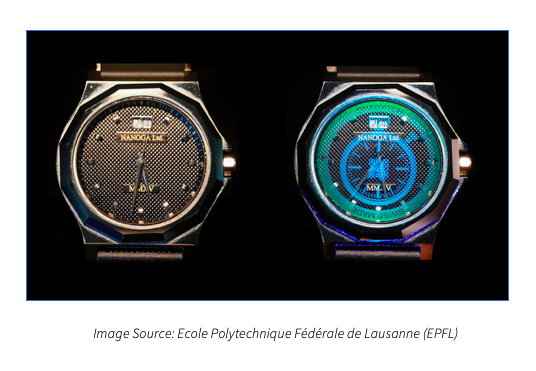 Recent advances in nanotechnology research by Switzerland’s Ecole Polytechnique Fédérale de Lausanne (EPFL) Research Institute has the potential of possibly destroying the nefarious counterfeit industry for good. The research institute’s proprietary blend of chemicals when applied to a glass surface as a vapor, changes into photonic crystals. Made up of nanoparticles, the crystals convert UV light into different colours based on the geometry and their alignment. Based on the pattern printed onto the glass surface, only under UV Light do the unique patterns lighten up. Such a ‘nanoscopic watermark’ would be extremely difficult to replicate as the counterfeiters would need to know the exact chemical composition for replicating the light pattern and the specific colour. Another application where nanotechnology is being researched to build a practical solution is Nano Barcodes. Unlike traditional barcodes, using specific chemicals in specific proportions, an ink is created. This ink can then be used to print barcodes at a nano size on the brands’ products. To identify originals from fakes, all one needs to do is use a camera flash and the nano-barcode would be seen. Since the chemical composition needs to be in the exact proportions, replicating the same colour of the nano-barcode would be extremely difficult. Already sports equipment manufacturers and design houses are experimenting with Nanotextiles due to their amazing qualities. What we will see in the very near future would be even better nanotextiles that control body temperature better, maintain their strength and have near zero wear and tear when compared with current textiles. As the technology matures, nanotextiles will become mainstream textiles of choice due to our ability to modify their composition based on the desired end properties such as composite reinforcement, barrier properties, flame resistance, electro-optical properties, cosmetic applications, bactericidal properties. NASA is already using nanocomposites to make their spaceships, astronauts’ suits, and equipment lighter, faster, more heat and cold resistant and more agile. Similarly, companies such as Audi, BMW, Porsche, Bugatti are using such composites to develop technologies such self-healing car paints, spare parts with better tensile strength than carbon fiber, engines that weigh a lot less and have higher performance. In the fashion industry, we would see newer fabrics based on nanotextiles being used mainstream for greatly enhanced function. From superhydrophobic textile that repels water completely to self-cleaning odour-controlling fabrics to even fabrics with nanoelectronic devices, we might one day see flexible optical sensors and display screens woven into shirts and other garments. 3D printing and nanotechnology will change the way the luxury industry operates. The technologies together will bring large scale optimization in production processes, customization possibilities, costs, storage and logistics, retailing and loss prevention. In a world of constant technological advancements, early adopters will be at a significant advantage. By the time, the technologies become mainstream and competitors catch up, early adopters would have already integrated the technology platforms saving millions in costs and created the next generation of products.